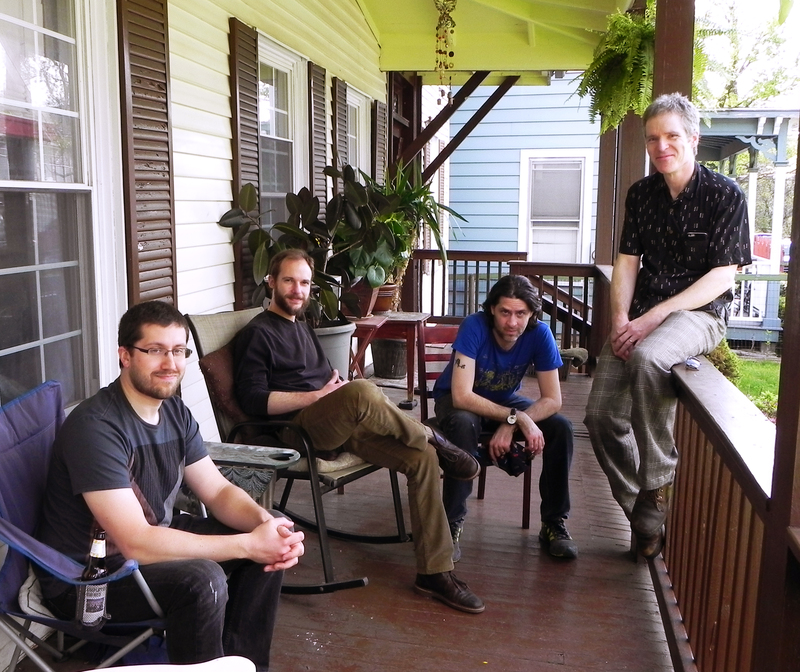 The Warp/The Weft, active since 2012 in and beyond New York's Hudson River Valley, has earned praise for its uniqueness and song-crafting from casual and devoted listeners alike. Blending traditional and avant-garde styles, the warmth of a good wool sweater and the sometimes-bleak cold of an upstate winter, the progressive folk and psychedelia that the band brings to bear (compared to Fairport Convention and Jethro Tull) is propelled by poetic lyrics and a "spirit-conjuring," lilting tenor that "puts Murphy alongside Shearwater's Jonathan Meiburg as one of the most captivating high-register voices in rock today" (Ron Hart, Chronogram). 2017's Mapping an Absence (July 29, 2017, Admirable Traits Records) introduces bassist Trevor Larcheveque, whose vocal harmonies help to anchor the band firmly in the chamber category.